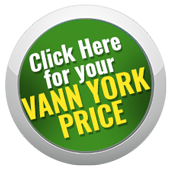 Vann York Nissan dealership is part of the Vann York Auto Group that first got its start back in 1973. Ever since then, customer service has been a top priority, as well as helping the community we are a part of thrive. Our Nissan dealership not only provides quality new and used vehicles for sale in the Greensboro and Winston-Salem areas, we support many different programs and initiatives that help better our community and allow it to grow and prosper like the United Way, YMCA, the Boys and Girls Club and Habitat for Humanity, just to name a few! By shopping here you're also helping to support those causes so don't put off your new Nissan search any longer, visit Vann York Nissan to experience the difference our friendly professionals can make for you! Here at Vann York Nissan we focus on building relationships that will last. We take care of our knowledgeable employees who in turn take care of you! 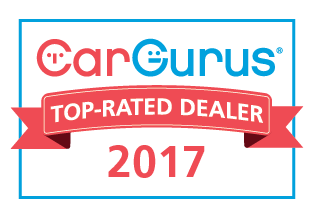 We're honored to be your automotive expert and will work hard to earn your business again and again! From purchases to financing and services, head over to our High Point, NC location to get a shopping experience tailored to you and your needs. If you're just beginning your new car search we invite you to browse our online inventory of new Nissan vehicles. Our dealership is fully stocked with the latest Altima, Sentra, Maxima, and Frontier models so take a few minutes to scroll through our system and contact us when you're ready to schedule a test drive! We look forward to sliding behind the wheel the Nissan Rogue as much as you do so reach out to us at your earliest convenience! If you're interested in used cars in the Asheboro area, you're in luck! Our Nissan dealership offers an extensive selection of previously owned vehicles, not just Nissan models so that you're able to view all of your viable options and make an informed decision. We have access to trade-ins from local new car dealerships which means we're able to bring you a multitude of affordable, quality choices! Our used cars are inspected for safety and come with an impressive warranty; head over to learn about the details of the previously owned vehicle that has caught your eye and get the added peace of mind that comes with the complimentary warranty, roadside assistance plan, and Carfax report! Our dealership specializes in securing comprehensive auto loans for drivers that have less than perfect credit, so take charge of your financial future today and fill out our secure online credit application. We'll be in touch to go over your options and can walk you through all the aggressive offers we have taking place! If you've already secured financing and have bought or leased one of our Nissan vehicles, be sure to bring it over to our service department periodically for those recommended maintenance jobs. Our new and used car dealership even offers genuine OEM parts for sale so if you're looking to tackle a repair job at home get in touch with our parts department to order all the Nissan parts you need to get the job done safely! Thanks for considering our friendly dealership for all of your automotive needs, we look forward to seeing you here at Vann York Nissan in High Point, NC soon!